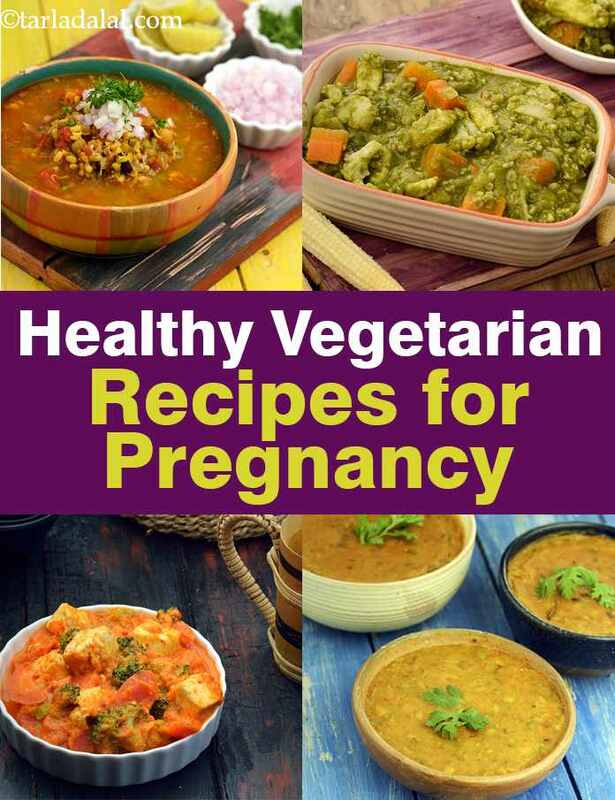 What healthy vegetables and dals to have for Pregnancy? A balanced diet is important throughout the nine months of gestation and that includes dals and vegetables too, which are sometimes skipped. Dals provide the much needed protein for the growth and development of each and every cell of the baby. On the other hand, vegetables are a rich source of antioxidants which helps to keep the lining of the uterus healthy and they also provide fibre to keep your gut healthy. Teen Ratna Dal is a wholesome combination of three lentils, flavoured with an assortment of spices, is a good source of calcium and protein for the mom-to-be. Panchmel Dal is a combo of five dals is flavoured with a special masala and is a rich source of protein, thiamine, folic acid and phosphorus. This Hariyali Dal is made with masoor dal and green leafy vegetables which are good source of Vitamin A and Calcium. Masoor dal is easier to digest than arhar dal. It is therefore a better choice for you when you're pregnant, as it will provide you with protein and yet not leave you feeling uncomfortable after you have eaten. To give a mother-to-be variety we have included recipes like Gavar Masoor ki Dal which is an intelligent combination of gavar and masoor gives this dal that brims with flavour and overflows with nutrition! We have recipes for interesting subzis like Vaal ki Usal a popular, easy to make Maharashtrian dish. The combination of jaggery and kokum gives a sweet and tangy taste to the usal. Vaal provides you the much needed protein and iron. Dahi Chane ki Subzi will definitely not fail to give your variety in terms of flavours and texture. Curds are a very good source of calcium and are also very easy to digest. Pulses along with curds improve the protein and calcium content of this recipe. Yet another innovative recipe that we have is of Healthy Green Curry and surprisingly it also has oats along with carrots, spring onions, baby corn and cauliflower. These vegetables are excellent sources of iron, fibre and vitamin c.
Accompany these dals and vegetables with hot Rotis and a bowl of Salads from to complete your meal of the day. Explore more varieties in pregnancy section everyday.